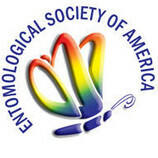 The Entomological Society of America (ESA) is the largest organization in the world serving the professional and scientific needs of entomologists and individuals in related disciplines. The premier event of the Society is its Annual Meeting. Each year approximately 3,000 entomologists and other scientists gather to exchange scientific information. A program of symposia, conferences, submitted papers, and continuing education seminars provides attendees the opportunity to hear and present research results. The meeting also provides a chance to interact informally with peers and prospective employers.